Due to technical issues, the registration period for DV-2019 is being restarted. Due to technical issues, the registration period for DV-2019 is being restarted, and all entries made prior to October 18, 2017, will be resubmitted. We regret the inconvenience to Diversity Visa entrants. In order to ensure fairness and protect the integrity of the process for all those concerned, however, we must restart the entry process for this year (DV-2019). THE RE-SUBMIT IS DONE BY US SO YOU SHOULD NOT SUBMIT ANY APPLICATION YOURSELF. 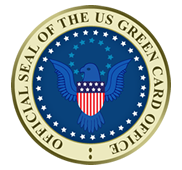 Beginning May 15, 2018, DV-2019 entrants will be able to use their unique confirmation number provided at registration to check the online Entrant Status Check at www.usgreencardoffice.com/login to see if their entry was selected. Entrant Status Check will inform successful entrants how to apply for DVs for themselves and their eligible family members. We will also will confirm visa interview appointments through the Entrant Status Check.